The Kokoda Track, 1942. Jack and Hoshi are soldiers from opposing armies, who meet in battle and discover they have much more in common than they could ever realise. 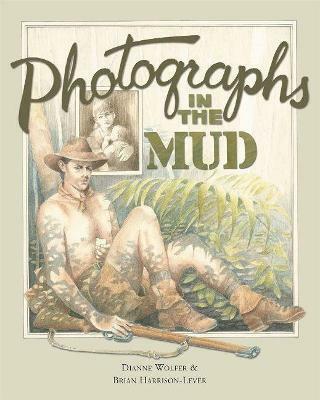 Told from the point of view of two soldiers, one Australian, the other Japanese, Photographs in the Mud reveals the personal human tragedy of war from both the soldiers and their loved ones at home. Dianne Wolfer (Author) Dianne Wolfer is an award-winning author. Her book Lighthouse Girl inspired a character in PIAF?s The Giants and has recently been adapted into a stage production by Black Swan State Theatre Company. Her picture book Photographs in the Mud (set along the Kokoda Track) is used as an international peace reference and has been published in Japanese; it is also a recommended resource for the National History Curriculum.Brian Harrison-Lever (Illustrator) With a career that started in television and film, Brian Harrison-Lever later lectured in design and drawing at the Western Australian Academy of Performing Arts. He won the 2003 Children?s Book Council of Australia Book of the Year Award and the 2003 American SPCA Henry Bergh Children?s Book Award for In Flanders Fields.